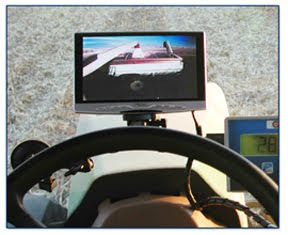 Dakota Micro, Inc. is a Geneseo, North Dakota manufacturer of a product called the “AgCam,” a camera that allows farmers to easily monitor farm equipment. By coincidence, students at the University of North Dakota (UND) built a camera to monitor rangeland and crops from space, and also called it the AgCam. As it turns out, UND’s camera didn’t work after it was fired into space with the shuttle Endeavor. Farmers began to doubt the quality of Dakota Micro’s cameras, thinking UND’s “Agcam” was also made by Dakota Micro. When Dakota Micro confronted UND, and asked them to change the name of their satellite cameras, they responded by having their trademark attorneys file for their own Agcam trademark with the USPTO. But they didn’t stop there. UND is also seeking to cancel Dakota Micro’s trademark. Fortunately for Dakota Micro, they had their trademark lawyer file and obtain their trademark early on. Although Dakota Micro will have to defend itself in court, they had the foresight to register Agcam way back in 2003. Now, seven years later, as Dakota micro is hitting its stride, UND wants to put an end to them over a trademark. Many a successful business has been trounced by a trademark dispute with a bigger fish. This is another story that illustrates why it's so important for small business to regsiter their trademarks as soon as possible.